The Dark Ranger: The final charge? Well it all comes down to this. After being up 3-1, we allowed the russian cheerleader and his band of cheapshotting, biting, eurohawk wearing coattail riders to creep back into this series by not taking care of business and playing the shutdown hockey that got us the 3-1 series lead to begin with and by leaving our goalie unprotected. There are fingers pointed far and wide at the coach, at the agitator, at the defense, at the refs... even at the former coach for his poor conditioning of this team. None of which means anything now. Its time to make the final charge. In the press? In the stands duking out with the fans? No,this stand must be taken on the ice. Where the pucks are passed moved, crushing hits are delivered and blood is spilled. 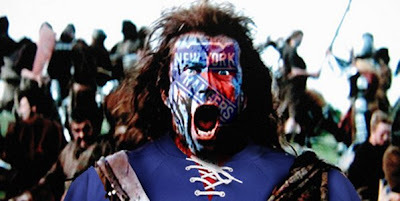 This game will not only define where the Rangers are as a team, but also whether or not some these softies were meant to play the game of hockey and whether they were meant to do it in the greatest city in the world, for the most passionate of fans. This is our defining moment... for now. 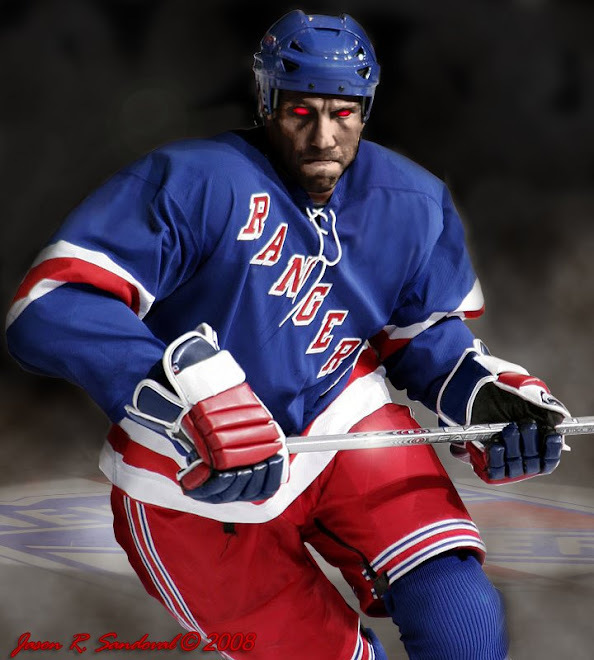 Sound off Ranger fans... We can still win this. Focus. Eye on the prize. Controlled bloodlust. That's what it will take to win. And this is just the first round. . . .